Michelle Johnson presents her new production of "Strictly Taboo" at Cabaret Jazz! Enjoy the hits of Ella Fitzgerald, Sarah Vaughan, Billie Holiday, Eartha Kitt, Peggy Lee, Nina Simone, Dinah Washington, Bessie Smith, Etta James and more in this fast-paced musical revue featuring the music and fascinating, little known backstories of some of the world’s greatest female jazz artists. Scandals, love stories, triumphs, tragedies, gowns, gloves, feathers …. and all of that fabulous music! Featuring the Strictly Taboo Orchestra, a 17 Piece Big Band under the direction of arranger and conductor Joe Escriba, dancers and more. Starring Michelle Johnson with several special guest vocalists. Go back in time and be swept away! Join us for non stop musical thrills in an intimate setting as Michelle Johnson, her special guests, and the Strictly Taboo Orchestra uncover the stories of the great divas of jazz. Despite her moniker as Las Vegas’ “First Lady of Jazz”, Michelle Johnson is much more than a jazz singer. Michelle has shared a stage with or recorded with several artists including Paul McCartney, Gladys Knight, Barbara Streisand, Elton John, Sheena Easton and Slash, appeared on several major television networks, and produced events across the globe for various headliners and Fortune 500 companies. Her love of jazz, both the music and it’s history, have been a constant throughout her versatile musical journey that started during a childhood spent in Cairo, Egypt as the child of diplomats, continued at the ivy halls of Yale University and later the Broadway stage, and has her now living in Las Vegas as a critically acclaimed headliner known for jazz and more. 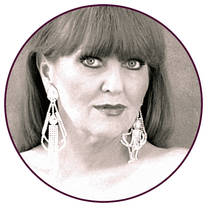 Michelle’s unique talents as both an entertainer and producer take her across the country and the globe several times a year via her production company, Diva Las Vegas Productions. Clients include Mercedes, Toyota, IBM, AT&T, Bayer, HBO, MTV, the NBA, and countless recording artists. You can also hear Michelle’s signature sound on numerous television and radio jingles. She is the voice of the Las Vegas “UNLV Tickets” jingle among other popular spots. The gospel choir she founded was handpicked to perform with Barbara Streisand at the MGM Garden Arena in Las Vegas, and has appeared with countless celebrities under Michelle's direction. An accomplished singer songwriter, she is in the process of recording a new album. She is also a coauthor of the inspirational book “Power of the Platform” and is in the process of writing a book about the music industry. Her passion is uplifting people through the power of music, and she is in the process of creating mentoring programn for young entertainers. Get more information about Michelle Johnson at www.michellejohnson.com. Elyse Branch hails from Los Angeles, CA where she earned her BA in Voice from the University of Southern CA (USC). Elyse’s versatility, vocal power, large vocal range and superlative command of music theory have led her to become a very highly sought after performer. Her soaring vocals have been featured in numerous Las Vegas Shows including Vegas the Show, Hitzville and Legends in Concert. 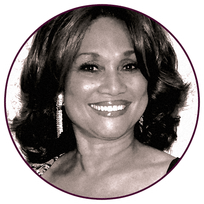 She has also sung with the legendary Marvelettes, and performs her one woman shows all over the world and on the high seas honoring the music of Whitney Houston and the Motown Era. Las Vegas favorite Avana Christie is known for her powerful, soulful vocals, electric stage presence, and vivacious personality. Known as “The Georgia Peach,” the Atlanta native has performed all over the world and opened for Ray Charles, Al Green, Rolls Royce and many others. She also sang with the Supremes, Billy Paul and countless other stars in places like Madrid, China, Tapei and of course on the Las Vegas Strip. Avana has recorded three original albums of her own, and her sound is unmistakeable. Whether she is lead vocals or backgrounds, Avana’s voice is a one of a kind and a treasure. Genevieve is a five time award winner for Best Jazz Vocalist in Las Vegas. 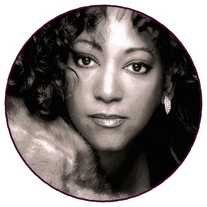 She started singing with the St. Louis Symphony at age 17, and has worked with artists such as Stevie Wonder, Nancy Wilson and Johnny Hammond who were her mentors in learning jazz vocal technique. She has headlined numerous shows in Las Vegas and has performed with several prominent artists including the legendary Andre Bocelli and multi award-winning international composer Michel Legrand. Genevieve travels extensively performing in different countries from Europe to Australia from the Middle East to Asia, and produces and performs her critically acclaimed one woman show, “A Tribute to Billie Holiday” all over the world. She recently performed as Lady Day in sold out shows at the Smith Center in Las Vegas. She is currently working on her third CD. She is a class act with an inimitable style, and a delight to everyone who is lucky enough to see her perform. Naomi Mauro is a veteran performer and musician who began her music career as a vocalist at the Tropicana Hotel and Casino in 1997 and continues to perform regularly in variety bands and corporate events for virtually every major hotel on the Las Vegas Strip. She was a featured celebrity tribute artist in American Superstars at the Stratosphere Hotel, where she portrayed Christina Aguilera for over six years. 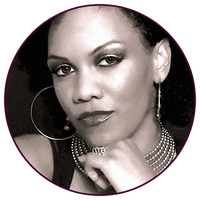 An accomplished songwriter and pianist and a proud UNLV music graduate, Naomi has performed with such artists as Deniece Williams, John Michael Montgomery, The Manhattans, and most recently Céline Dion, and has been featured regularly at the Smith Center for the Performing Arts' Cabaret Jazz venue. You can also catch Naomi singing jazz on Fridays at Nora’s here in Las Vegas. Mary O has appeared with many jazz greats, such as saxophonist Arnett Cobb, Conrad Johnson and Milt Larken and appeared in the movie, “They Still Call Me Bruce,” starring Joey Travolta and David Mendenhall. A native of Houston, Texas, she is a multi faceted vocalist and a master of many styles including pop, blues and country … but her overriding passion is jazz. Mary’s captivating stage presence has wowed Houston and Las Vegas audiences alike. Mary O is also a licensed Clark County Educator and she works with the non profit organization Life Long Dreams which focuses on special needs children and young adult in the performing and visual arts. Enjoy the primary life force of Mary O as she shares her gift of song with you. Originally from Sydney, Australia, Kellie Wright has appeared in many Las Vegas productions, and also spent many years headlining with various bands in the US and Japan. Her repertoire spans from jazz and musical theater to pop and rock. A consummate actor and singer, her resume features many popular Las Vegas shows including Jubilee, Breck Wall's Bottoms Up, Tony 'n Tina's Wedding, Bill Fayne's The Book of Merman (a tribute to Ethel Merman) and The Best Little Whorehouse in Texas (where she played Ms. Mona). More credits and favorite roles include Joanne in Company, Mrs Lovett in Sweeney Todd, and the title character in The Drowsy Chaperone. Most recently she reprised her award winning role in the original production of Anton Chekhov's Cherry Orchard of the Living Dead. She is currently working on her one woman show "Always The Diva...Never The Ingenue."